Do you feel like you don’t get enough exercise, or don’t spend enough time outdoors? Have you ever noticed how your mind seems to clear when you spend time outdoors; how very often ideas seem to just swim into your head when out walking? 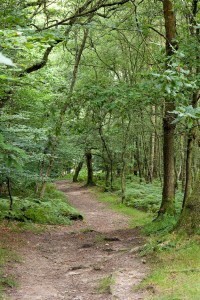 I am so pleased to offer you the opportunity to combine coaching sessions with inspiring walks! You can take advantage of the coaching sessions I offer while taking time to get some gentle exercise and enjoy the beauty of the outdoors. There is a wealth of research suggesting that regular walking improves physical health and emotional wellbeing. Combining these benefits with coaching techniques provides the perfect opportunity to make positive changes to your life. You can take part in these coaching walks whatever your focus is; your personal life or your career; even if you simply want to get into the habit of taking regular exercise, with some personal coaching support alongside. The walks will take place in the Peak District; the weather will, or course, have an effect – if there is severe wind, rain or snow the walk will be replaced with a face to face session in my therapy room in the Hope Valley, or via Skype. You will meet me at a prearranged point; then we will walk for up to 50 minutes at a gentle pace. I am fully insured, and hold a valid First Aid certificate. You will need to fill in a health questionnaire detailing any relevant medical issues. Simply being surrounded by life and green space allows people to open up to new ideas; walking, taking in the surroundings, feeling grounded by contact with the earth all help you to relax and reach a place of peace. In this space, reflection, creativity, insight and change seem to just happen naturally. It really is a wonderful experience! What to wear: Please wear sturdy shoes, trainers or walking boots, warm clothes (layers work well) as well as raincoat. Please bring a rucksack instead of a shoulder bag if you carry things as it allows you to walk more freely.